Installing shades to ensure an even, polished look can be tricky, especially if your windows are unusually shaped. Even if your windows appear perfectly square or rectangular, in actuality they might not be, because of settling or inconsistency in craftsmanship. Installing shades might look straightforward but rarely is. An experienced professional knows how to troubleshoot and finesse unexpected problems so your shades will look every bit as good as you hoped. You'll most likely save yourself a trip to the store. It's a rare home improvement job that doesn't require the purchase of something. To install shades, think in terms of a carpenter's awl, brackets, special ladders and drill bits – tools you might never need again. A professional installer comes prepared for anything – and with a toolkit that would inspire envy in a representative at any home improvement store. You'll spare yourself the likelihood of complications with advanced features. Cordless and motorized shades are a specialty unto themselves. A professional installer can address these challenges adeptly. You'll save time – and plenty of it. Even if you've mapped out an installation plan, installing shades can be time-consuming for a novice, with or without unexpected problems. The hallmark of a professional installer is efficiency. You won't have to feign enjoyment of a DIY job. This is arguably one of the most underrated aspects of home improvement projects. It follows, if you enjoy a task, you're more likely to stick with it and do a better job, especially when the going gets tough. It's a rare person who admits to loving the process of installing shades – unless that person is a professional shade installer. When you consider how shades set the tone and tenor of a room and should bring out the natural architectural aesthetics of your windows, you won't want to settle for anything less than “custom treatment” right from the start. 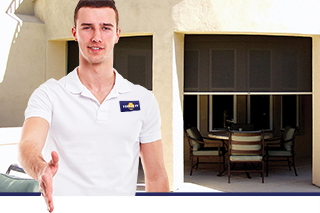 Polar Shades – the leader in manufacturing the most durable and stylish window shades in the industry – can direct your efforts with a helpful guide on shades. Then, during a free in-home consultation, a representative can show you a full range of colors and shade styles to complement your windows. Naturally, a professional installer will supply the final touch – for all the right reasons.